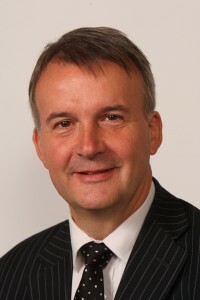 Dave qualified as a solicitor in 1984, having obtained a degree in law from the University of Birmingham before completing his final exams after a year at the College of Law in Chester. He returned home to Liverpool to complete his training with a local firm. Dave has been working as a criminal lawyer in Liverpool and latterly Knowsley for 34 years. He is a higher court advocate and heads the criminal law team at Levins Solicitors having joined the firm in 2002. Dave mainly works on crown court cases but he also represents clients in the magistrates court on a regular basis. Over many years Dave has accepted instructions from falsely accused teachers and carers. He has been involved in many high profile and complex enquiries and has developed expertise in this area that frequently results in instructions from outside the Merseyside area. In recent years he has been involved in advising on regulatory matters including matters relating to safeguarding issues. Dave has experience of health and safety prosecutions and has advised companies facing OFSTED investigation in relation to the running of care and children’s homes. Outside of work Dave is the chair of governors at Calderstones School. He is an associate governor of Huyton with Roby CE Primary school. He is the Chair of Woolton FC and has an active involvement in the administration of local amateur football.